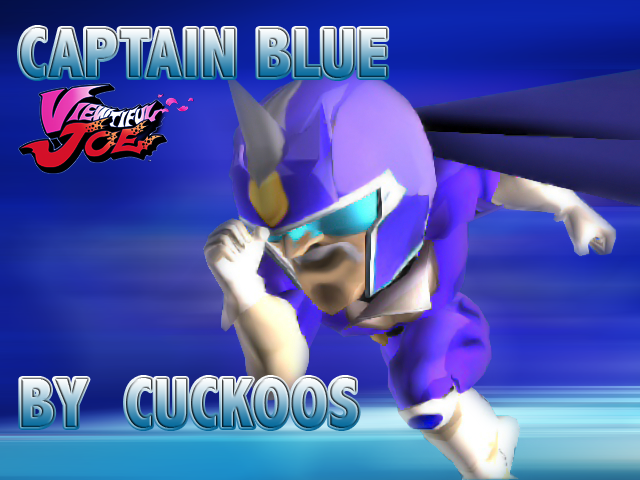 Captain Blue from the Viewtiful Joe series, only one slot. Credit to BeyondYou for the original One Slot Viewtiful Joe, and credit to Ike Lawliet for the base texture. nice job on this, other than texture being off on on the nose a little bit. He looks like an import. Its not an import, its an edit of the one-Slot Viewtiful Joe. Texture and Vertex. i know its not an import, just a really good vertex by BeyondYou, and really good texture by Cuckoos. It just looks like an import.